The Doctor is back in session. According to a recent interview with the Observer, Doctor Who showrunner Steven Moffat says he is “just embarking” work on season 10 of the popular sci-fi series. The series is currently in the midst of its ninth season and recently aired a special two-part episode with Game of Thrones star Maisie Williams. While there has been no official confirmation of a tenth season for the series, this interview and the fact that Doctor Who is one of the BBC’s most successful and longest-running shows is a pretty positive indication. In addition to the news on season 10, Moffat also discussed the upcoming Doctor Who Christmas special, which will feature the return of River Song. What do you think? 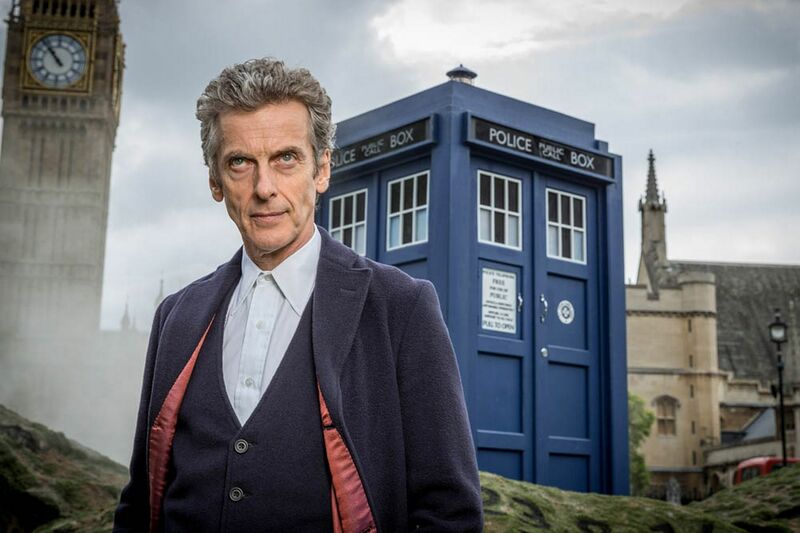 Are you excited for a new season of Doctor Who? How are you liking season nine? More about: BBC America TV shows: canceled or renewed?, BBC TV shows: canceled or renewed?, Doctor Who (2005), Doctor Who (2005): canceled or renewed? Series 9 isn’t really recognisable as Dr who !! Plots atmosphere personality of the Dr who character. All different. It’s been the most like Doctor Who out of ANY of the episodes since it came back in 2005. Certainly more like Doctor Who than when RTD ran the show. His show was Doctor Who in name only. It was a teeny booper soap opera that featured a crybaby human acting person who happened to call himself the Doctor. I disagree. David Tennant played the Tenth Doctor very well. RTD created some great monsters, the rivalry between him and John Simm’s Master was epic, and who could forget that aborted regeneration at the end of his last full series? The only RTD episode that was “Dr Who in name only” was “Love & Monsters”. S9 has SO redeemed S7 & 8 (both of which I felt were weak due to the over focus on Clara). They are now writing FOR Capaldi and have refocused the show on HIM, and it makes all the difference in the world. Between a Who special with River and the Sherlock special, Moffat is giving me some pretty nice Christmas presents this year! I love all the doctor who episodes too. They should bring his daughter back in season 3 I think. Where Doctor put his hand on machine where his DNA made his daughter. I think last episode where River song and the Doctor was together and she said to him this is the last time we meet. I have ALWAYS loved Doctor Who in all his incarnations. Peter Garibaldi is just another success. Hopefully, this series will go on for a long, long time as subsequent generations of ‘Who’ lovers join the throng. I hope it never stops. I’m so looking forward to seeing River Song again. She’s been my favorite since her first Doctor Who appearance. Alex Kingston is always a treat. yes has a new fan of the Dr Who series. I enjoy the new season 9 so far. Looking forward to the next season.